The Bebop cocktail at One Armed Scissor. Photo by Josh Armendariz. 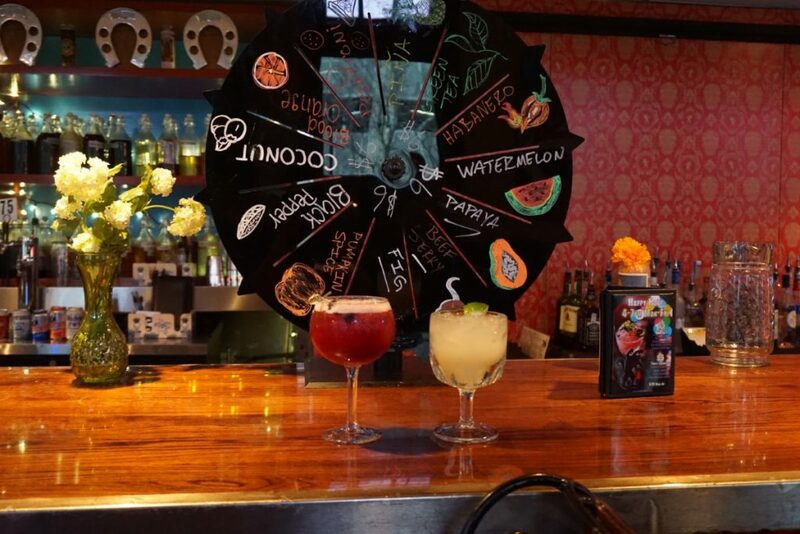 Downtown Houston has a big variety of great happy hour options that include trendy cocktail spots, elegant digs perfect for unwinding after work and unpretentious places for a casual hang with buddies. 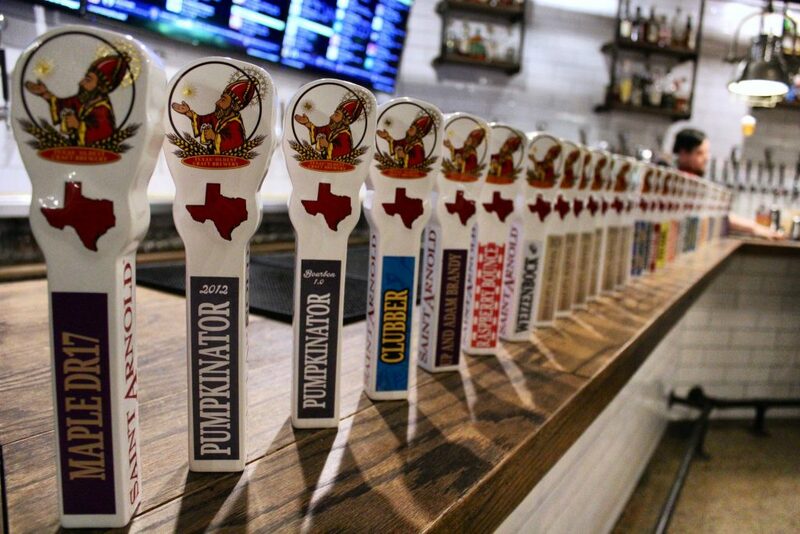 As some examples, Houstonians can enjoy a $4 draft underground at The Conservatory food hall greenery, sip on a plethora of whiskeys at Reserve 101, or sip some of the best Mezcal selections this side of Mexico at both Xochi and The Pastry War. While this happy hour list below doesn’t cover all of the downtown options, it showcases some of the very best. Many local breweries are represented on the tap wall at Conservatory – Underground Beer Garden & Food Hall. Photo courtesy of Conservatory – Underground Beer Garden & Food Hall. Conservatory – Underground Beer Garden & Food Hall, 1010 Prairie: Houston’s original food hall is housed underground and boasts a surprisingly welcome and green atmosphere. Happy hour runs daily from 4 to 6 p.m. Tuesday through Friday and all day on Sundays and Mondays with all drafts for $4 along with various specials from multiple food vendors, which tend to change from time to time. The current ones include Arte Pizzeria, El Burro, Moku Bar, The Pho Spot, Treacherous Leches and Easy Does It. For those looking to get their wine on, Noble Rot Wine Bar offers a rotating selection of $5 wines by the glass and $7 for a flight of three. Sanity & Wits cocktail at The Cottonmouth Club. Photo by Josh Armendariz. 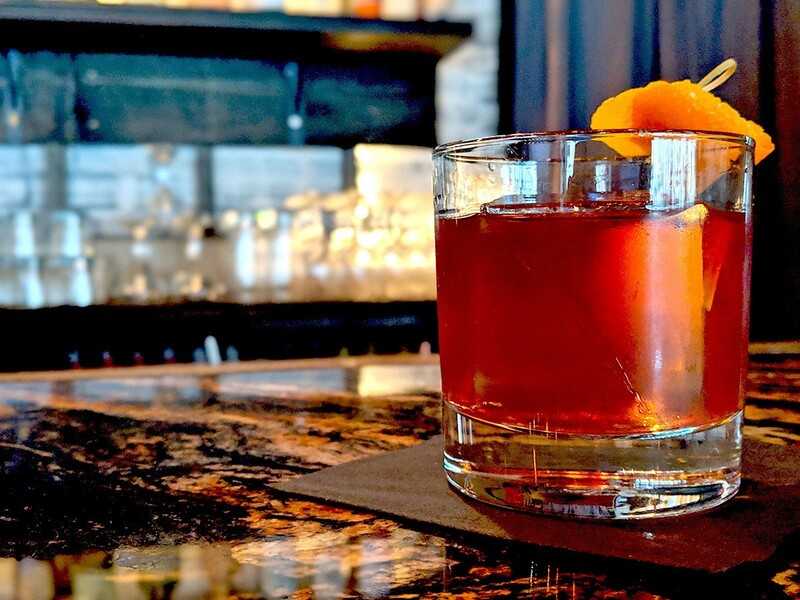 The Cottonmouth Club, 108 Main: Reserve 101’s Mike Raymond opened this bar last year and it ended up being Houston Food Finder’s pick for the Best New Houston Bar of 2018. 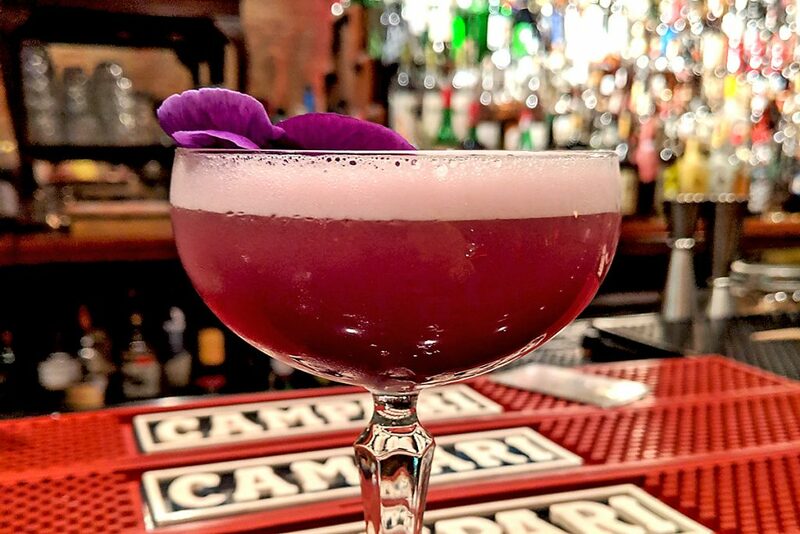 The cocktail menu features exceptional entries like the French martini riff Sanity & Wits and the namesake cocktail The Cottonmouth Club which features an exclusive blended whiskey picked by Raymond and his business partner Michael Neff. Happy hour runs Mondays through Fridays from 4 to 7 p.m. and offers $5 Old Fashioneds and house cocktails for just $6, along with daily specials like Sandwich Sundays and Negroni Thursdays. Happy hour margaritas at El Big Bad. Photo courtesy of El Big Bad. El Big Bad, 419 Travis: The restaurant and bar named for the Big Bad Wolf is known for its creative takes on margaritas and infused tequilas and has plenty of space for patrons to enjoy them all. It’s a two-story building that even has a wraparound balcony. El Big Bad‘s happy hour menu runs Mondays through Fridays from 4 to 7 p.m. and features “five for $5” menu items that include Old School Nachos and chicken flautas. On the beverage side, house margaritas, selected wines, draft beers, sangria and a daily cocktail special are also all just $5 each. Just a “few” of the Houston Watch Company’s spirits. Photo courtesy of Houston Watch Company. Houston Watch Co., 913 Franklin: This cocktail and whiskey bar nestled into a cozy space on Franklin has an old-school speakeasy vibe and specializes in Old Fashioneds made with rye, bourbon, mezcal or rum. There are also always two barrel-aged cocktails like the Manhattan. Happy hour runs weekdays at from 4 to 7 p.m., featuring half-priced wines by the glass, $2 Lone Star, $6 cocktail specials and half-priced selected whiskies. While there’s no formal kitchen, there are prepared snack trays from City Acre Brewing and patrons can always pop over to La Calle next door and bring in some tacos. Tiki interiors at Kanaloa. Photo courtesy of Kanaloa HTX. 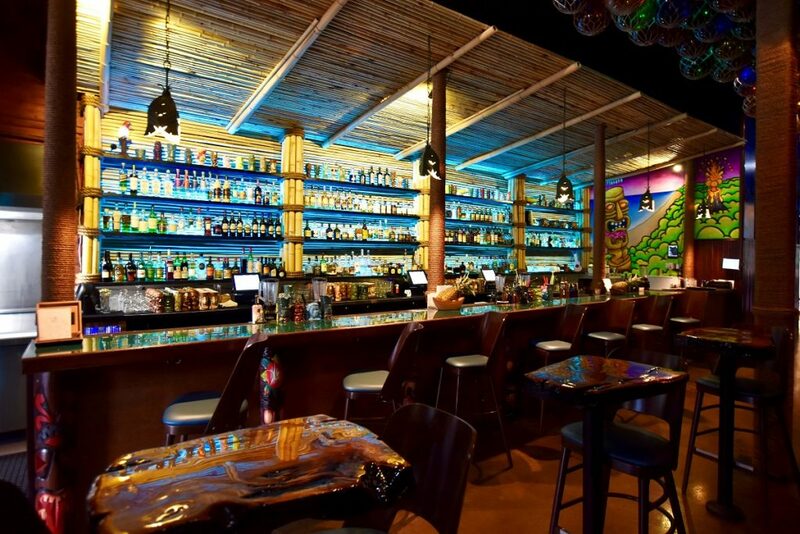 Kanaloa, 311 Travis: Tiki bar Kanaloa HTX is a recent entry to the downtown bar scene and is inside the former Market Square Bar & Grill space. There are over a dozen cocktails listed by strength level and include the Mai Tai and the not-for-the-faint-of-heart Three Dots and a Dash made with demerara rum, Rum Agricole Vieux, lime juice, orange juice, honey, falernum, pimento dram and Angostura bitters. Groups might want to try the shareable cocktail selections like Couples Therapy (serves two to three persons) and the whopping Treasure Chest which serves 10 to 12 persons. Happy hour runs daily from 4 to 7 p.m. and all day on Tiki Tuesdays. The specials include $6 Mai Tais, $6 daiquiris $8 Sumatra Kulas and $8 Pina Coladas and discounted food from Oh My Gogi. In addition to happy hour, Kanaloa frequently runs other deals advertised on social media, such as 25 percent off shareable cocktails and Wednesday wine specials. One Armed Scissor, 208 Travis: The original Heights location closed suddenly in the spring of 2018 then reemerged with the same name and even the same staff downtown next to Public Services Wine & Whiskey in October. Customer favorites include the Trinidad James with rye whiskey and toasted black sesame orgeat, and the Bebop, made with Whistlepig 10-Year rye whiskey. Happy hour is seven days a week from 3 to 6 p.m. and during that time patrons can get $2 off selected house cocktails and classics and $1 off all beers and canned wines. In addition to the regular happy hour specials, One Armed Scissor also rolls out daily features such as Old Fashioned Wednesdays. Keep an eye on the bar’s social media feeds for upcoming specials. The Pastry War, 310 Main: Deriving their name from a war between the Mexican and the French (not from actual pastries, sadly), The Pastry War is known for its collection of small-batch tequilas and mezcal. The extensive cocktail menu includes house cocktails like the El Tornillo made with bonded bourbon, mint, piloncillo and lemon and the Santa Muerte with mezcal, Aperol, agave and mesquite infused bitter. For just a buck more, pair a mezcal, sotol or tequila choice with traditional accouterments for agave spirits: verdita, made with cilantro, mint, serrano, pineapple and lime; sangrita with tomato, red bell peppers, lime, orange and habanero; or sal de gusano y naranjas (Oaxacan worm salt and orange slices). Happy hour runs every day from 4 to 6:30 p.m. with half-priced tequila and mezcal, and complimentary agua frescas. While the snacks are not discounted during happy hour, the tamales are well-priced at $6.99 for three and $12.99 for six, respectively. Happy hour at Public Services Wine & Whisky. Photo courtesy of Public Services Wine & Whisky. Public Services Wine & Whisky, 202 Travis: This bar sporting antique-style good looks is inside the historic Cotton Exchange building and was founded by trendsetting sommelier Justin Vann and James Beard Award-winning chef Justin Yu of Theodore Rex and Better Luck Tomorrow. (Just call them “The Justins” for short.) Public Services Wine & Whisky has plenty of both kinds of liquid as well as a small but well-chosen selection of classic cocktails and bar snacks. Yu’s small menu includes crave-able “Li’l Smokies,” smoked Gulf fish spread and toasted nuts. One of the unique menu features, a selection of imported tins of seafood, owes its existence to Vann’s ongoing love affair with Spain. 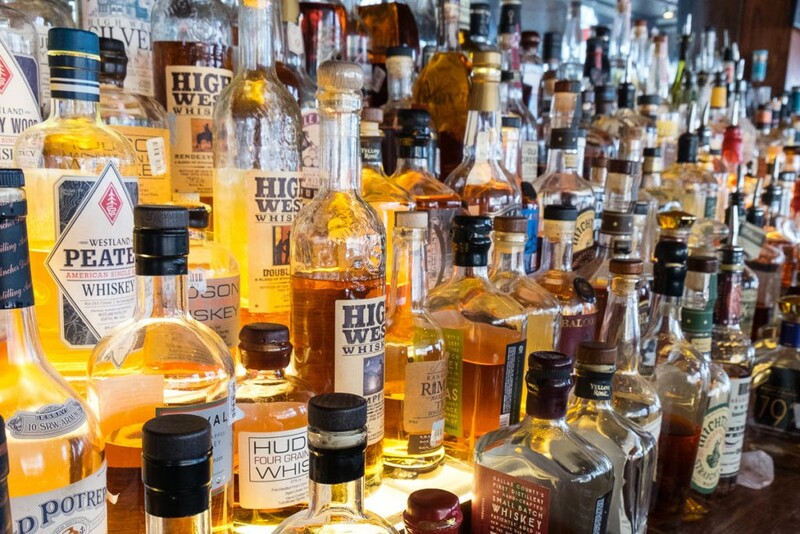 Since pours as small as three-quarters of an ounce for whiskey and three ounces for wine, patrons can taste multiple selections without severely damaging their wallets. Public Service’s happy hour runs Monday through Friday from 4 to 6:30 p.m. and features 25-percent off all wine and beer and $6 house cocktails. 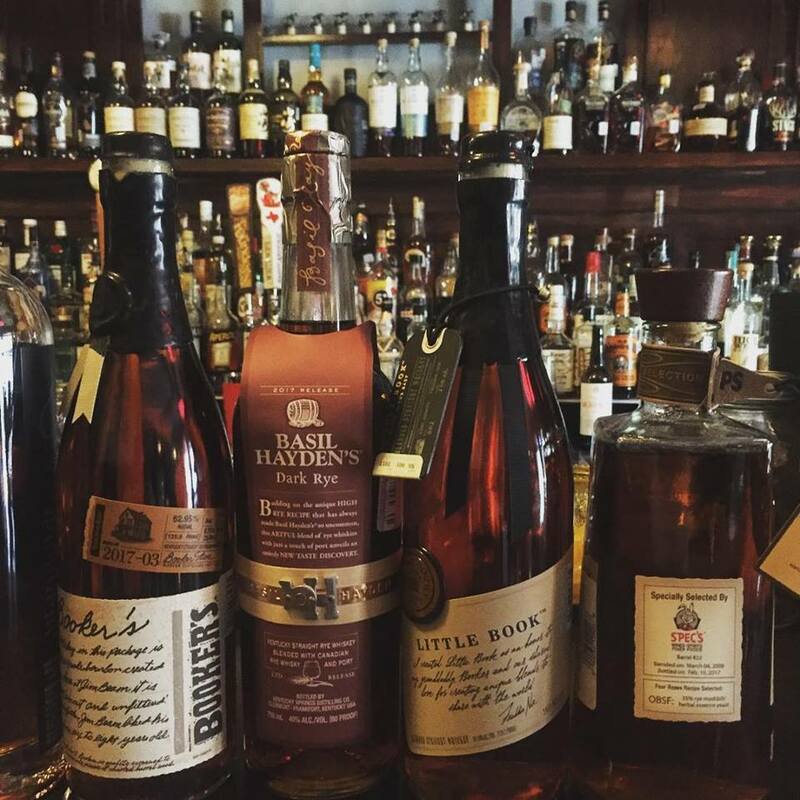 Reserve 101, 1201 Caroline: Owner Mike Raymond’s original bar is an homage to whiskey. He probably stopped counting how many different kinds he’s acquired when he hit 300. These range from the indulgent, at over $100 a shot, to everyday affordable varieties. Classic cocktails such as Old Fashioneds and Manhattan are only $6 during happy hour, which is Mondays through Fridays from 3 to 6 p.m. (Feeling adventurous? Ask for the Reserve 101’s Makers 46 111 proof whiskey.) 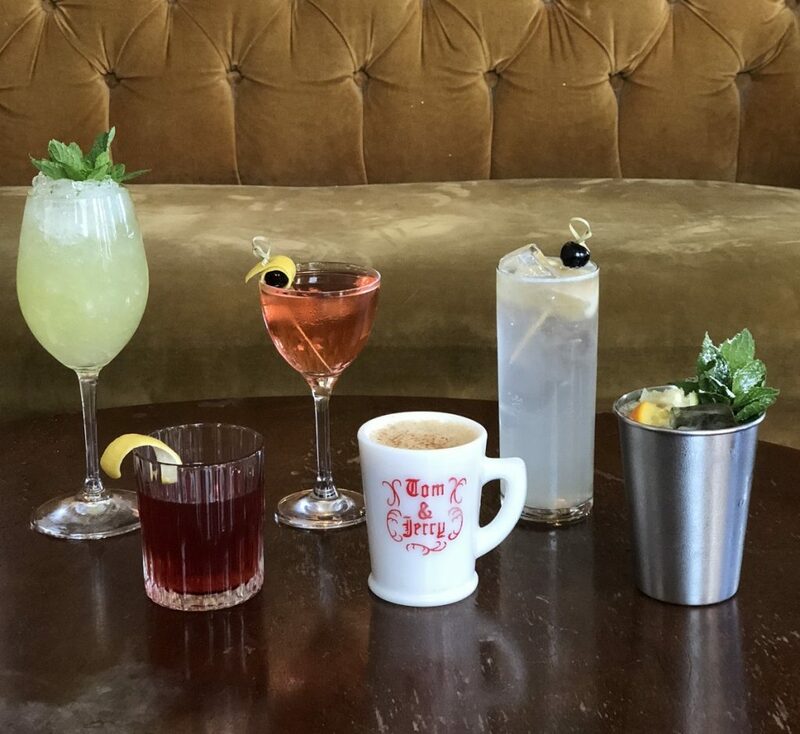 In addition, there’s a selection of bucks and mules like The Kentucky and Dark & Stormy, and Champagne cocktails like the French 75 and Orkney 75 made with Highland Park Magnus, lemon juice and Champagne, all also just $6 each during happy hour. 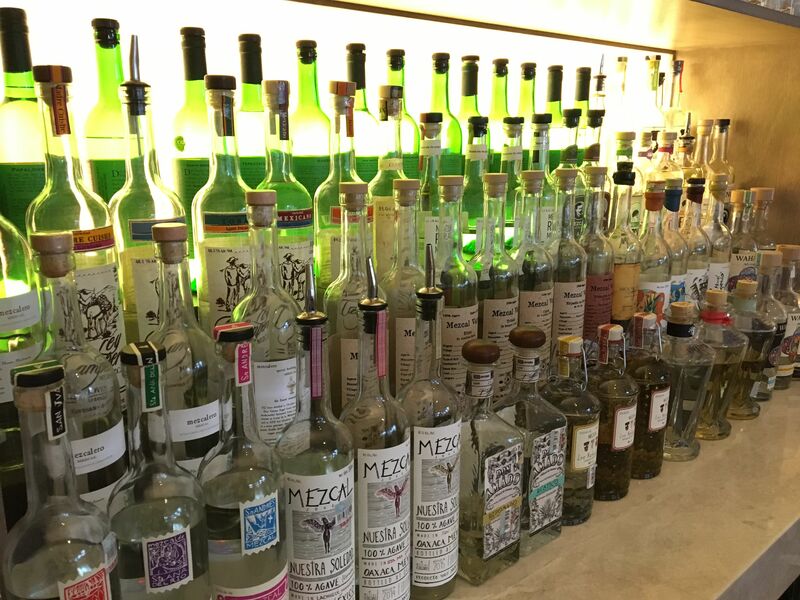 Xochi’s Oaxacan Lending Library means that guests can explore the flavors of Mexican spirits 1 ounce at a time. Photo courtesy of Xochi. Xochi, 1777 Walker: This well-respected eatery from James Beard Award-winning chef Hugo Ortega brings a little bit of Oaxaca to downtown Houston. Happy hour runs daily from 3 to 6:30 pm in the bar and patio only, with a menu offering revelers wood-roasted and on-the-half-shell oysters at almost half the regular price. For those looking for something to eat besides oysters, the Bar Bites menu has a great selection of other options ranging from only $7 to $8 each. Also featured are beverage director Sean Beck’s craft cocktails for $6 or $7 each, including The Houstonian made with bourbon, praline, vermouth, and Mexican spice syrup. There are also red, white and rosé wines for $6 a glass and selected Mexican and Houston draft beers for under $4 each. 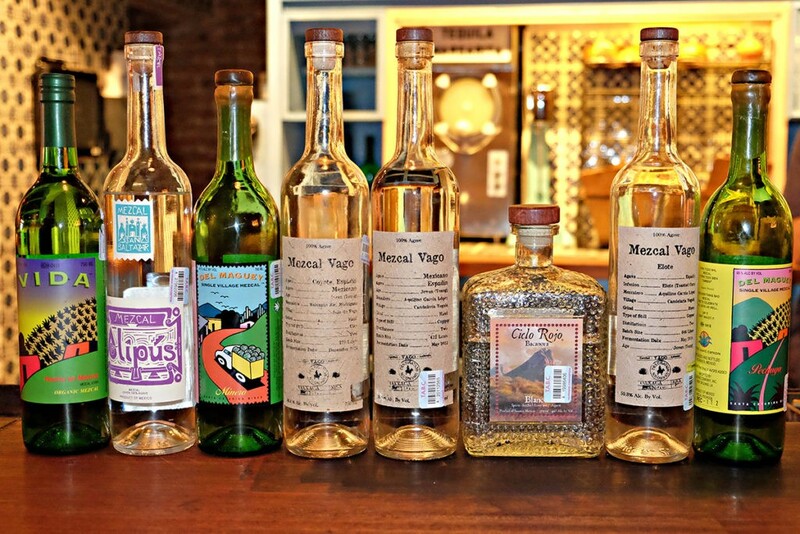 Mezcal fans will appreciate that one-ounce pours from Xochi’s “Oaxacan Lending Library” are only $6 each during happy hour.